Nearly 70 years after the “Turing Test” was first proposed, the question remains: can we create intelligent machines that exhibit behavior indistinguishable from humans? In December MIT researchers helped develop a system that passed a “visual” Turing Test, producing written characters that fool humans. 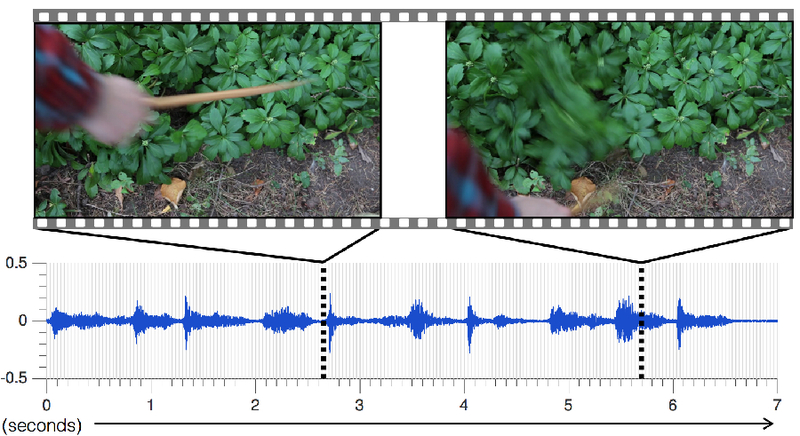 Now, researchers from MIT’s Computer Science and Artificial Intelligence Lab (CSAIL) have demonstrated a deep-learning algorithm that passes the Turing Test for sound: when shown a silent video clip of an object being hit, the algorithm can produce a sound for the hit that is realistic enough to fool human viewers. The project represents much more than just a clever computer trick: researchers envision future versions of similar algorithms being used to automatically produce sound effects for movies and TV shows, as well as to help robots better understand objects’ properties. The paper’s co-authors include recent PhD graduate Phillip Isola and MIT professors Edward Adelson, Bill Freeman, Josh McDermott and Antonio Torralba. The paper will be presented later this month at the annual conference on Computer Vision and Pattern Recognition (CVPR) in Las Vegas. 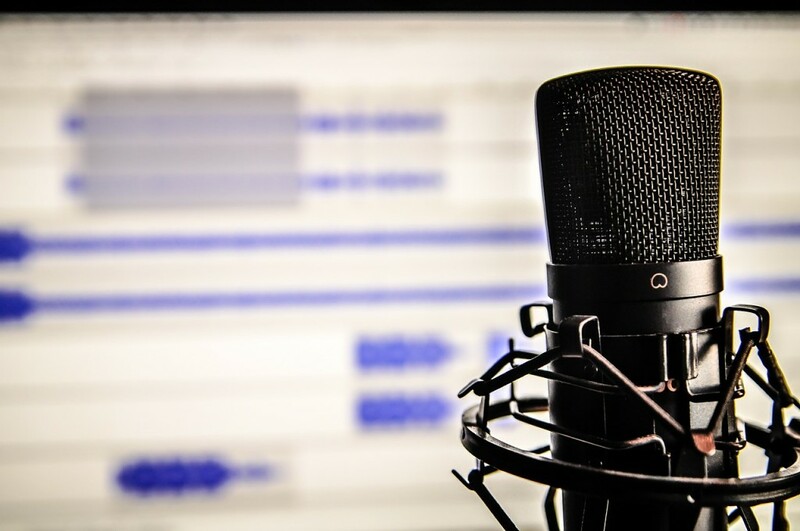 To test how realistic the fake sounds were, the team conducted an online study in which subjects saw two videos of collisions – one with the actual recorded sound, and one with the algorithm’s – and were asked which one was real. Researchers say that there’s still room to improve the system. 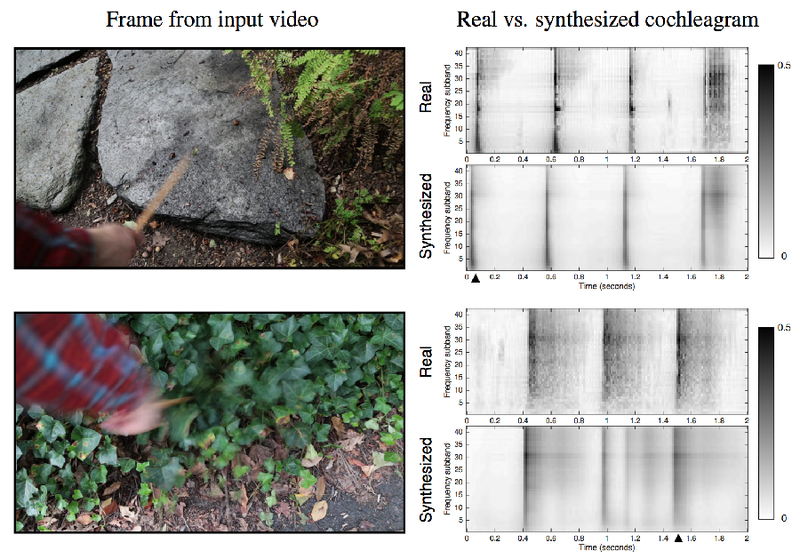 For example, if the drumstick moves especially erratically in a video, the algorithm is more likely to miss or hallucinate a false hit. It is also limited by the fact that it applies only to “visually indicated sounds” – sounds that are directly caused by the physical interaction that is being depicted in the video. The work was funded in part by the National Science Foundation and Shell. Owens was also supported by a Microsoft Research Fellowship.